Today we'll help you resolve your doubts about nighttime weaning, which usually begins in babies between the ages of 4 and 6 months. The moment when a mother decides to wean her baby from the breast, many doubts arise. What’s more, she may be faced with a number of outside opinions. It’s important for mothers to remember that the decision is hers and hers alone, and there is no “right” age for weaning. Rather, this is a personal decision. Just the same, if you’re feeling ready to wean your little one during the night, we want to offer some advice. Whether you breastfeed your baby or give him or her a bottle, there’s no rush to stop. Over time, your baby will wean. However, if you’re feeling tired, irritable, or think that your baby is physically prepared for this change, then it’s a good time to start nighttime weaning. Below, we’ll discuss some of the most common questions that mothers have regarding the process of nighttime weaning for their little ones. How can I tell if my baby’s ready? Relax! Each baby is different. If your baby is between the ages of 4 and 6 months, it’s a good time to start nighttime weaning. By this time, most babies get enough calories during the day in order to sleep up to 5 or 6 hours straight. Of course, that doesn’t mean your baby won’t wake up more frequently to nurse. But this is more a product of habit than a response to a physiological need. Your baby is used to waking up often to feed, so you’ll need time to change this part of his or her routine. Furthermore, you should ask yourself if your baby is trying to establish a bond with you. Breastfeeding is about more than just nourishment. Some mothers can’t spend a lot of time with their children during the day. 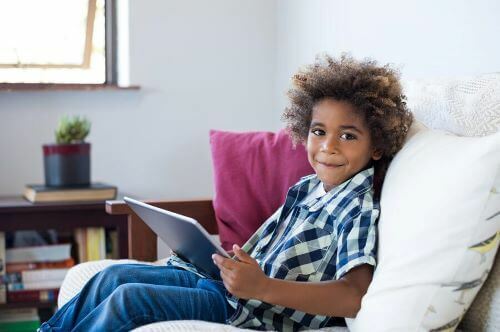 So, your child might be looking to make up for lost time and connect with you during the night. Another reason that your baby may wake up frequently is because his or her teeth are starting to come in. At the same time, your baby might be experiencing some other type of discomfort, like a cold or some other developmental change. For all of these reasons, it’s vitally important to go about weaning your baby gradually rather than abruptly. This is a time when your baby needs you and needs to feel protected. Furthermore, if you have any serious doubts, don’t hesitate to discuss them with your pediatrician. Now we’ll go on to suggest the steps you should take in order to successfully wean your baby during the night. 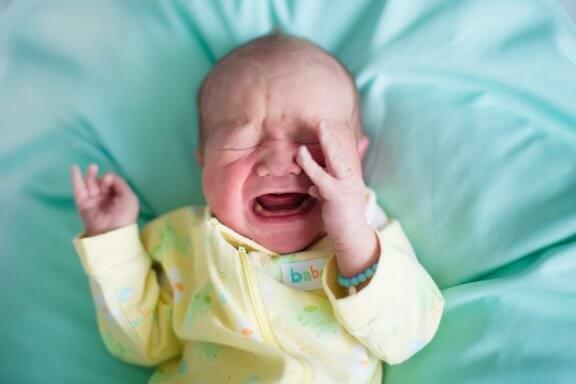 Take your baby’s feelings into account. When you decide to wean your son or daughter, you must understand that this may cause your child to experience feelings of frustration. Be respectful of your child’s feelings, which are perfectly understandable. Don’t deny your own feelings as a mother. It’s common for mothers to feel guilt and relief at the same time. Try not to be hard on yourself. Analyze the moment when you want to begin your nighttime wean. 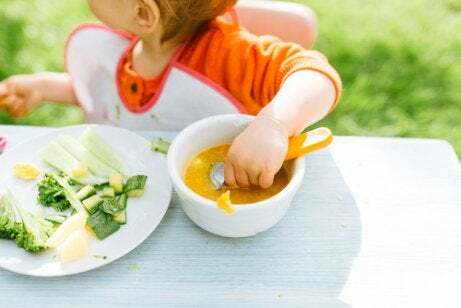 If you’re going through a move, expecting another baby, or starting to send your child to daycare – this might not be the best moment to start weaning. In the midst of any delicate moment or change that your family is experiencing, it’s best not to initiate the weaning process. Your baby will need more attention and affection to compensate for this absence. Offer plenty of food and liquids. When your baby wakes up wanting to nurse, offer alternatives like milk, formula or water. Place your baby in his or her own bed. The excitement of feeling more grown up, or of sleeping with a sibling or in a different room might make the process easier. However, your child shouldn’t see this as an obligation, and you shouldn’t force the issue if there is resistance. Involve your partner in the weaning process. The process tends to be much more effective when fathers understand what this change implies for their babies. Fathers should step in to console their babies when they’re upset, offering distractions, affection and support. Step back or stop if necessary. It’s important to be flexible and willing to make adjustments if things aren’t working. Even if you were sure about your decision, you can always take a step back and wait a bit longer if you need to. There are many experts who have given their opinion regarding this issue. First of all, the WHO (World Health Organization) recommends exclusive breastfeeding during the first six months of a baby’s life. Furthermore, they recommend that breastfeeding continue – along with a complementary diet – until children are at least 2 years old. Pediatrician Richard Ferber also addresses the issue in his book entitled Solve Your Child’s Sleep Problems. According to Ferber, waking up unnecessarily several times during the night can lead to sleeping disorders. Ferber’s theory states that if a child wakes up several times to eat or due to digestive problems, this may create a vicious cycle of wanting to eat even more. Lastly, pediatrician William Sears emphasizes the benefits of nightly feedings in strengthening bonds between Nichiren and parents. He encourages parents not to do nighttime weaning or to put it off as much as possible – of course, as long as nighttime feedings aren’t a problem for the family. In his book, The Baby Sleep Book, Sears provides strategies on how to put your baby to sleep and feed him or her in the bed so that nightly feedings are easier on parents. In conclusion, these are simply suggestions and opinions. Like any other parenting decision, the decision of when and if to wean your baby at night is yours and yours alone. Do whatever you believe is best for you and your baby. Baby-Led Weaning: Can Babies Learn to Eat on Their Own?